August 25, 5:15pm, Friends of Peacham Library — The Friends organize events and fundraisers in support of the library with funds raised used to support book purchases and programs. Please consider joining the Friends and helping in their efforts. August 25, 6:30pm, Peacham Knitters – Bring your knitting or other handwork for an evening of creativity and chatting. New knitters are welcome to come for help and encouragement. August 26, 7:00pm, Freedom and Unity: The Vermont Movie — Part Six – People’s Power, tackles contemporary tensions over energy, independence, the environment and the state’s future. August 29, 10am-noon, Coffee Hour – join us for a cup of coffee or tea, a sweet or two and good conversation. Suitable for all ages! September 1, 7pm, Board Meeting – Meetings are open to the public. September 6, International Observe the Moon Night — Peacham Library, Peacham Elementary School, Northeast Kingdom Astronomy Association and Peacham Fire District #1 will combine to present an evening of astronomy related to the moon. The evening starts at 6 with the Annual PFD#1 Picnic — bring meat the grill and a dish to share, PFD#1 will provide the charcoal, drinks and dessert. After supper it will be time for moon activities and opportunites to observe the moon using a variety of scopes and binoculars. The Summer Reading challenge is moving right along. 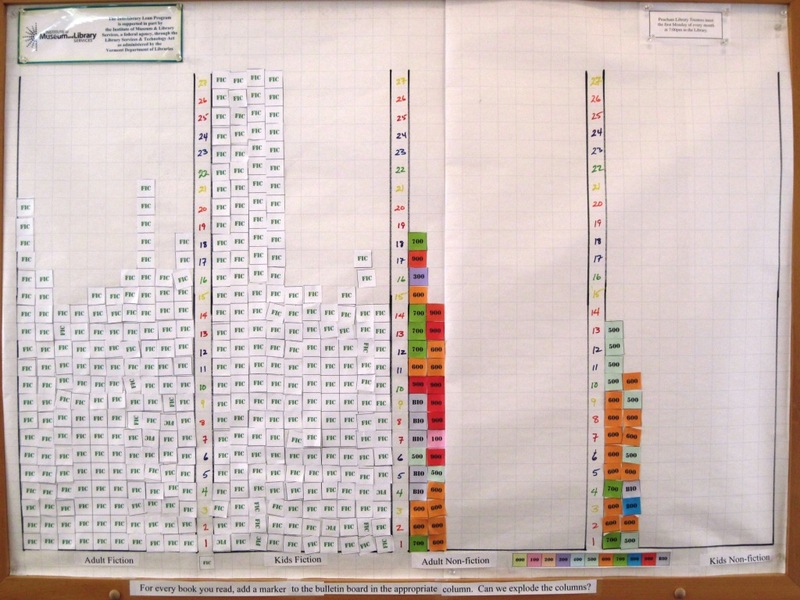 The children are still leading the charge, completing 220 books to the adults 197. It was a big week for reading! Jigsaw Puzzles! Help us put together Jigsaw Puzzles of Peacham scenes! 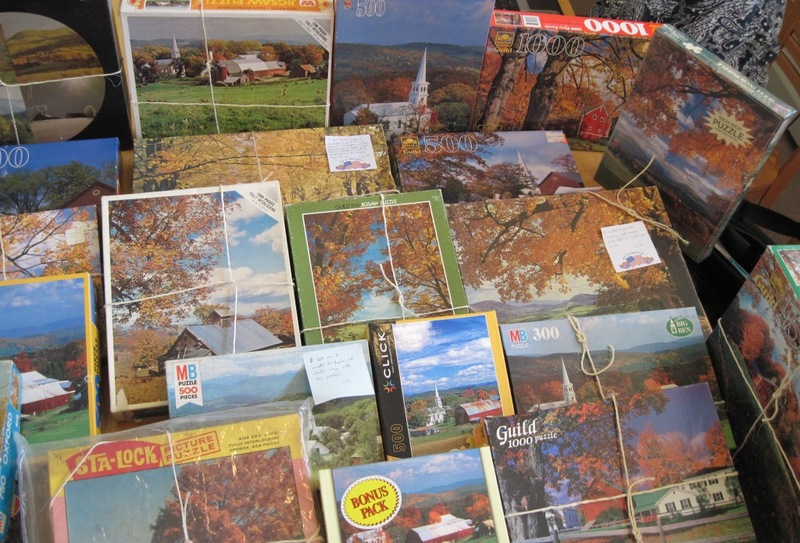 We have been given a collection of jigsaw puzzles and would like to put them on display. To do this, we need your help putting them together. We’ll start with one or two in the Reading Room and later have a Jigsaw Blitz where we put together as many as we can in one day. We hope you’ll join us in this endeavor.